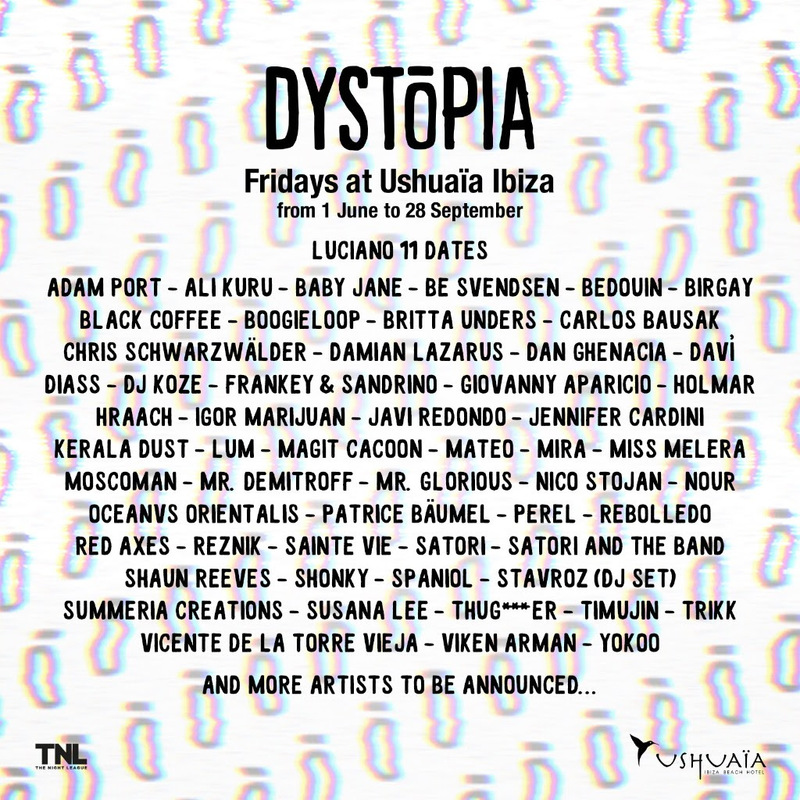 Ushuaïa Ibiza has announced a new party concept, Dystopia, for its Friday nights this summer with Luciano confirmed for eleven shows. Billed as a brand-new festival concept, the party's organisers The Night League are promising a truly interactive experience and judging by the overall tone of the announcement it's going to be a more underground affair. Details on the what form the new experiences will take (outside of the music, of course) are a bit thin on the ground but the organisers are promising an “immersive and surreal experience into music, art and self-expression”. There’s the promise of a new stage setup that will play a key role in the party’s overall production. Confirmed to play the new Friday night party so far will be Black Coffee, Damian Lazarus, Dj Koze, Adam Port, Bedouin and Jennifer Cardini. They'll be joined by the likes of Trikk, Ali Kuru, Chris Schwärzwalder, Holmar, Hraach, Igor Marijuan, Javi Redondo, Kerala Dust, Lum, Patrice Bäumel, Perel, Rebolledo, Reznik, and Frankey & Sandrino. In other Ushuaïa news, Martin Garrix has revealed who will be joining him for his Ushuaïa Ibiza residency this summer, which kicks off on Thursday 6th July. Dystopia will be taking place every Friday from 1st June to 28th September.